Denim has a tendency to fade and soften over time due to everyday wear, washing and drying. Some jeans soften faster than others. For example, soft cotton stone-washed denim will soften faster than stiffer jeans, such as those made with bamboo or untreated denim, such as selvage. There are a variety of products on the market that employ home starching tips to get stiff jeans with an ultra-crisp,"like-new" feeling. In addition to using these home starching tips to get stiff jeans, keep jeans stiff longer by reducing how often the jeans are washed. Always wash in cold water and avoid using a wash-based fabric softener or dryer fabric sheets. Starch jeans during the washing process. Wash jeans as usual, but on the last rinse cycle, add liquid laundry starch. Follow the manufacturer’s guidelines on how much starch to add to the wash based on the number of gallons of water in use. After the wash is complete, allow jeans to air dry flat, either on an outdoor line, or on an indoor clothes-drying rack. Putting them in the dryer will lessen the potency of the starch. If the jeans are not stiff enough, experiment with and adjust the amount of liquid laundry starch used for future starching. Wash jeans as usual and allow them to air dry flat. Select from light, medium or heavy spray starch formulas. 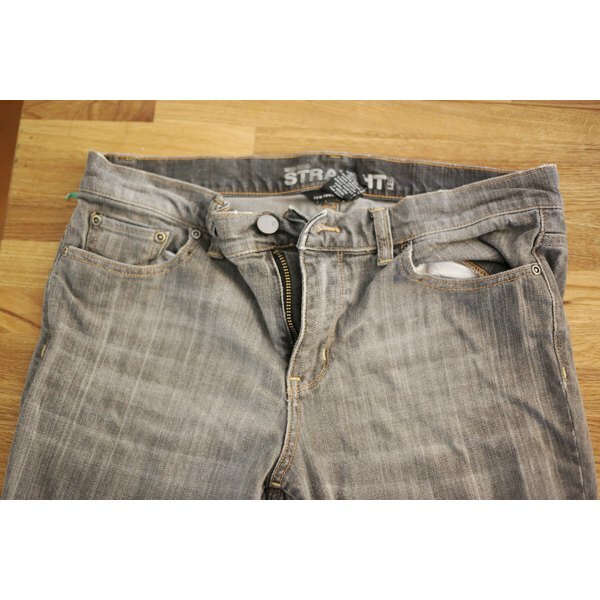 Spray the jeans thoroughly, front and back, with an aerosol starch, and allow them to dry slightly on a flat surface. Use an iron to crisp up the denim to a stiff finish. Apply creases, if desired. For extra stiff starched jeans, use heavy aerosol spray starch on the outside of the jeans, dry thoroughly, turn them inside out and apply starch again on the inside. 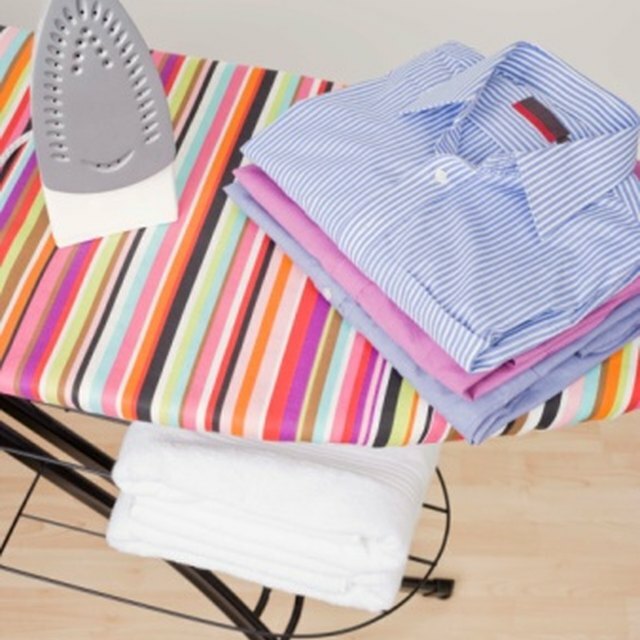 When dry, iron the inside; turn right-side out and iron the outside flat. Make sure the starch is fully dried before wearing to avoid a sticky feeling on the inside of the jeans. To get ultra stiff jeans, combine all starching techniques into one. Use a heavy liquid starch in the wash cycle and allow jeans to air dry flat. Apply heavy spray starch inside and outside of jeans, dry, and iron flat. Repeat the process as necessary to achieve desired level of stiffness.